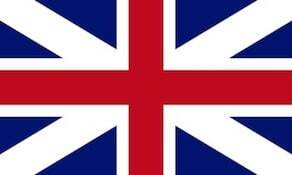 The 37th (North Hampshire) Regiment of Foot was raised in Ireland in February 1702. During the Jacobite rebellion of 1745 – 46 the regiment fought at the Battle of Falkirk (1746) where it was commanded by Sir Robert Munro, 6th Baronet and later at the Battle of Culloden where it was commanded by Col. Dejean. Initially called Meredyth’s Regiment, it was ranked the 37th Foot in 1747. Until the year 1751 it also used the names of its seven later Colonels (including Edward Montagu) and in 1751 became formally the 37th Regiment of Foot, with the North Hampshire distinction being added in 1782. The regiments’ battle honours include; Blenheim, Ramillies, Oudenarde, Malplaquet, Dettingen, Minden and the Peninsula Campaign. The Regiment was merged, in 1881, with the 67th (South Hampshire) Regiment of Foot to become the Hampshire Regiment. The 37th became the 1st Battalion and the 67th became the 2nd Battalion.